Get the DJI Spark fly more combo that features all of DJI’s signature technologies, allowing you to seize the moment whenever you feel inspired. 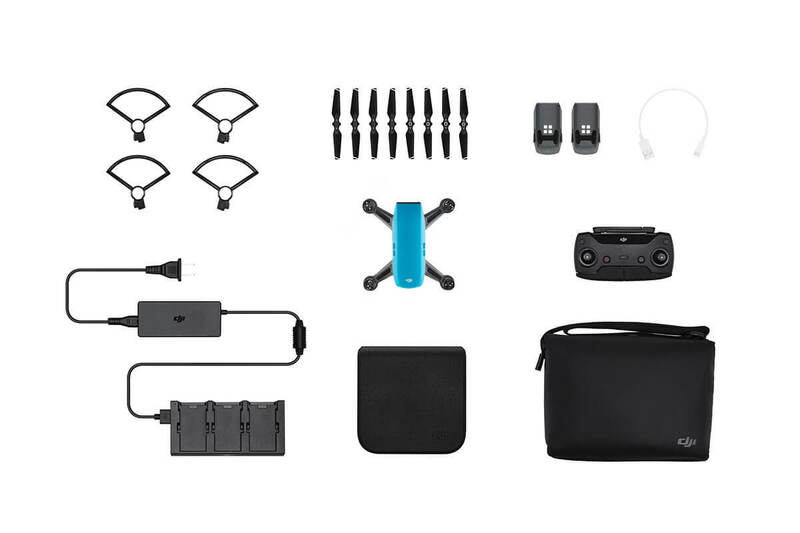 With intelligent flight control options, a mechanical gimbal, and a camera with incredible image quality, DJI Spark empowers you to push your creative boundaries. 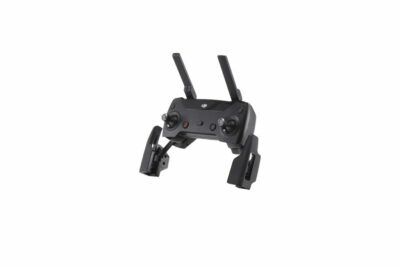 Buy DJI Spark Fly More Combo online and get free shipping Australia wide. Go to a whole new level of taking pictures with this easy to fly mini DJI drone. 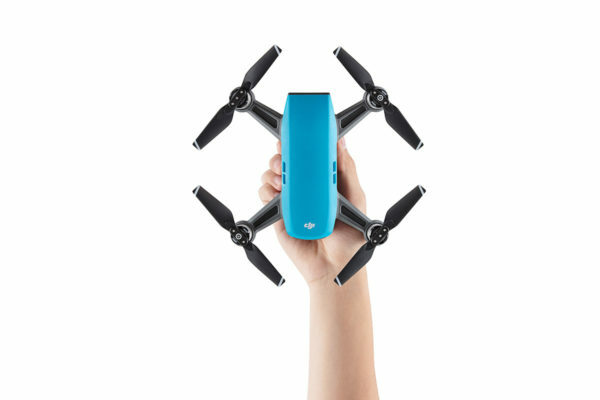 DJI Spark is an intuitive drone that allows you to get the pictures you want like never before. Literally get a bird’s eye view of the world with Spark and never miss a shot again! DJI SPARK is a compact, user-friendly DJI drone with professional features. Enabling you to capture each moment of your own inspiration, this DJI drone has intelligent flight control options, incredible camera and a mechanical gimbal. Within seconds of switching this drone on, it can be found hovering around places. With the advanced face ware technology, the sassy drone can start off from your hands by reorganising your face. 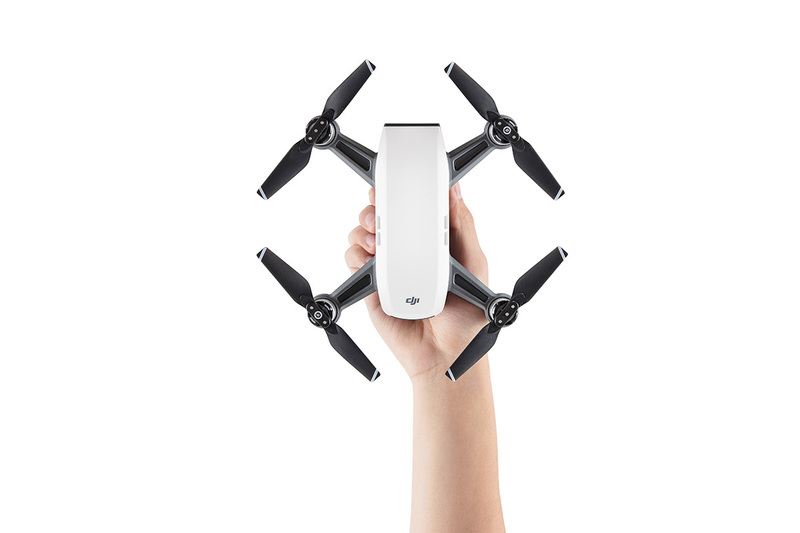 Forget your mobile phone and remote control, this DJI drone works by hand gestures. 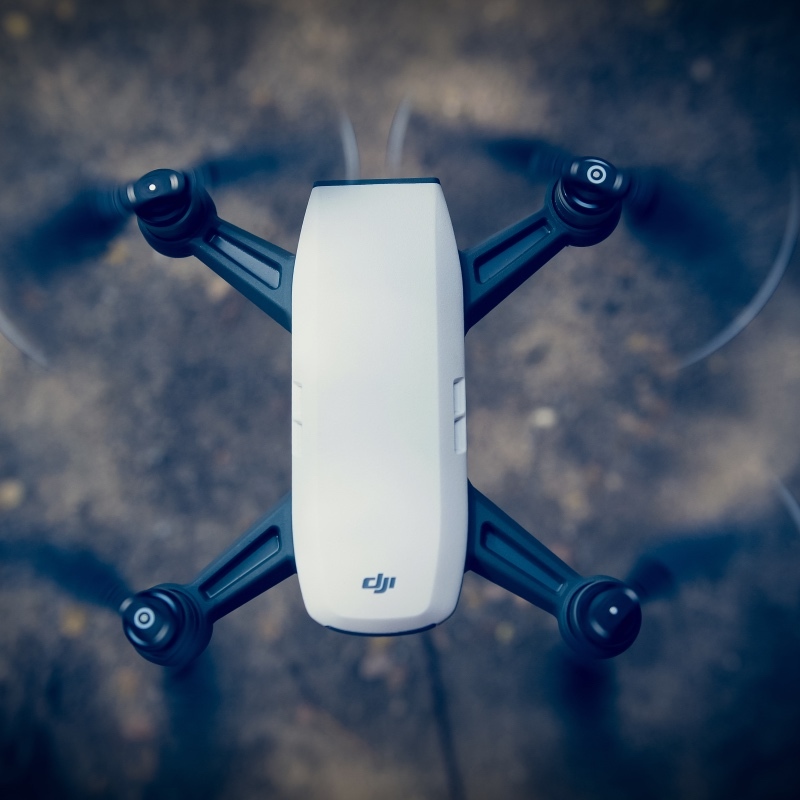 Cinematic aerial videos can be created by this DJI drone with just a few taps. Thanks to intelligent flight modes and intuitive controls. Get the best of every event now! Simple sharing makes work more worthwhile, knows every social media addict. And Spark is all about the easy edit and quick share that it provides. Spark’s 2-axis mechanical gimbal and Ultra Smooth technology distinctly reduce shake and rolling shutter effect, keeping shots stable, crisp and detailed. Sharp images with clear resolutions and least colour aberrations. Spark’s camera has a f/2.6 wide-angle lens with a 25 mm equivalent focal length. Five elements of the lens are arranged into a single group that fits into a compressed frame., leading to th making of a powerful camera. Spark’s camera has a 1/2.3 inch CMOS sensor, allowing you to shoot stabilized video at 1080p and stand stills at 12 MP. The larger pixel that Spark has enables it to be acutely sensitive to light and record colours precisely. In addition to the old existing modes of photography that DJI drones provided, Sparks also has new modes: Pano and Shallow Focus. Pano: Spark can shoot horizontal or vertical panoramas by automatically adjusting its gimbal and heading. Shallow Focus: Spark can use its 3D vision technology to create photos with a shallow depth of field. With perfect cinematic composition and great picture clarity let Spark take professional videos for you. With equivalent focal length the five elements of the lens are arranged into a single group that fits into a compressed frame. 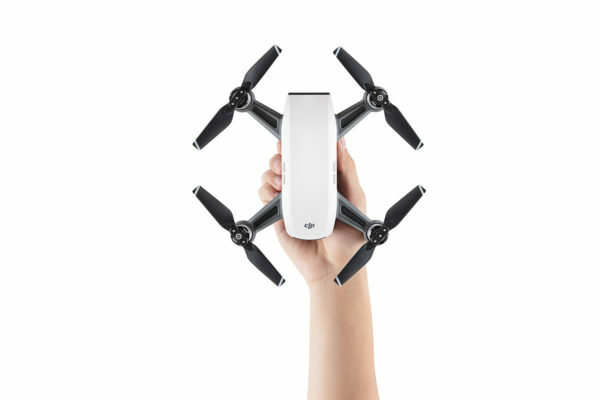 DJI Spark’s deep learning gesture recognition allows you to control the drone with simple hand motions. Leave your remote controller and phone at home. Selfies: Raise your arms, wave your hand, and make frame with your fingers to ignite Spark and shoot photos. With Active Track, Spark automatically recognizes objects of different shapes and sizes then tracks them according to what they are and how fast they move. This makes tracking much easier and more reliable. 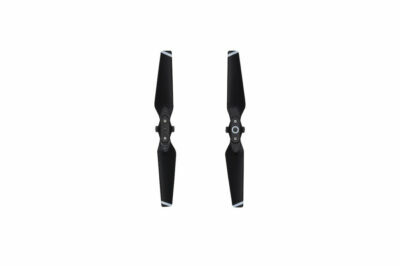 The aerodynamic, lightweight, and slick designed Spark flies in the air with negligible wind resistance. The gimbal and camera are full with the aircraft, significantly increasing its stability. 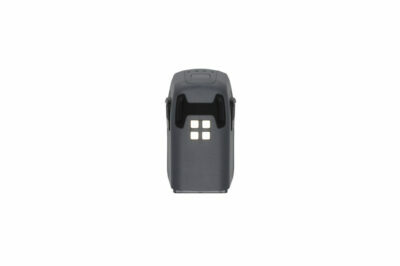 Powerful propulsion offers steady flight in strong winds at up to 31 mph (50 kph) in Sports Mode. And an advanced flight control system ensures flying is fun and interesting. Innovative HD Wi-Fi technology allows for a 720p real-time video transmission from nearly 1.2 mi (2 km) away. In spite of Spark’s intelligent features, flight time isn’t compromised. Fly for nearly 16 minutes with a fully-charged battery, capturing more footage than ever before. To get the best of Spark’s speed performance switch to the Sports mode. Sports Mode sets the gimbal mode to FPV by default, so the camera moves with you as you fly. For an upgraded FPV experience, pick up a pair of DJI Goggles and see a different world. 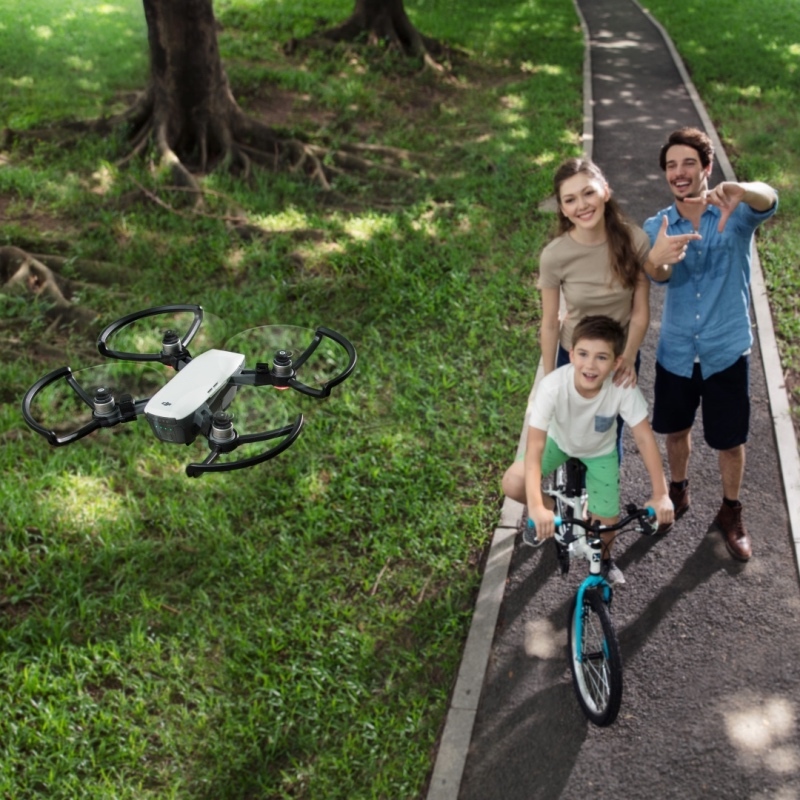 Spark’s Flight Autonomy system includes the main camera, VPS, 3D sensing system, dual-band GPS, high-precision inertial measurement unit, and 24 powerful computing cores. 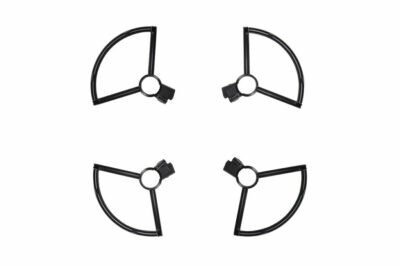 This enables Spark to fly over accurately everywhere with VPS assistance at around 98 ft (30 m), sense obstacles from about 16 ft (5 m) away, and land safely. DJI Spark can return to its home point automatically with sufficient GPS signal. 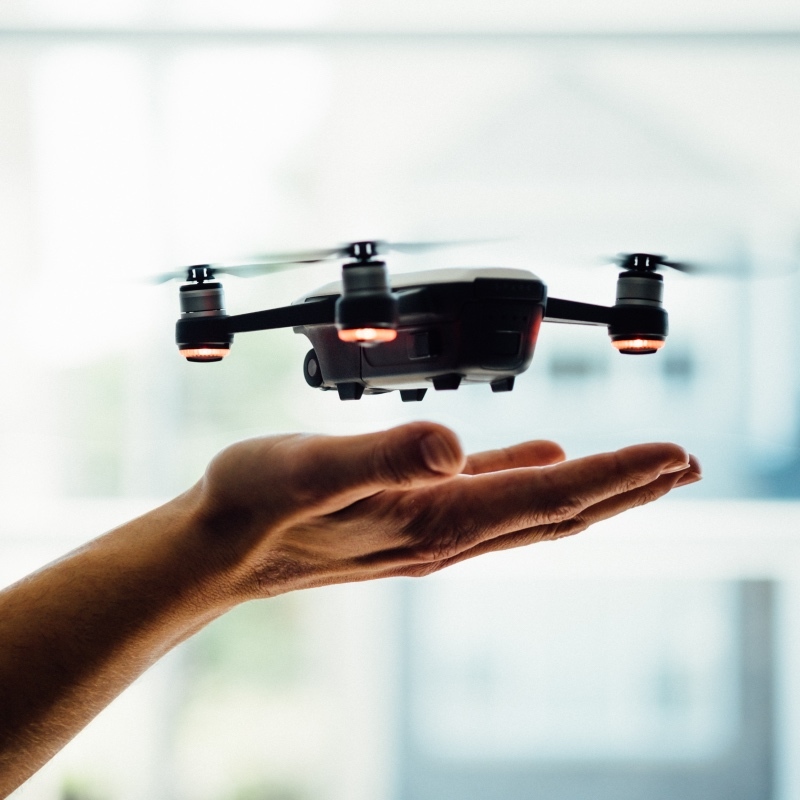 When the battery gets too low, the connection is lost, or you hit the Return to Home (RTH) button, Spark flies back to the preset home point while sensing obstacles in its path. Spark’s downward-facing camera captures images of the area surrounding home point and uses these images as references during RTH for a safe and secure landing. 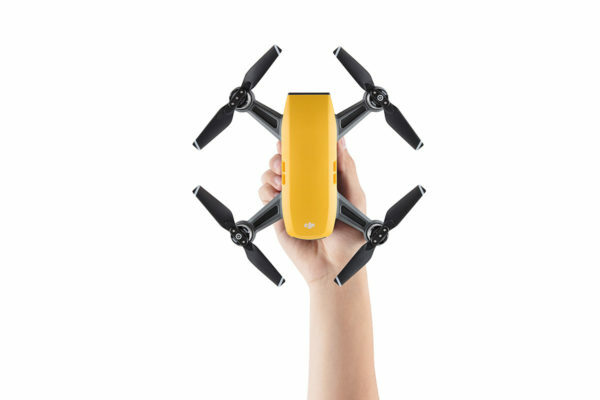 DJI Spark’s GEO system acknowledges you where drone flights may raise safety or security concerns, such as near airports or stadiums. This provides the information needed to fly Spark safely and responsibly. 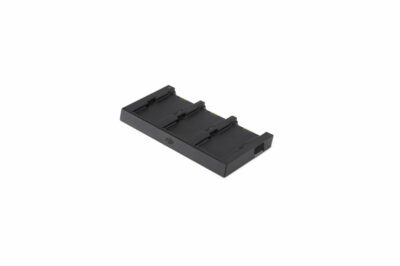 Spark uses a high energy density Li Po battery for best performance. 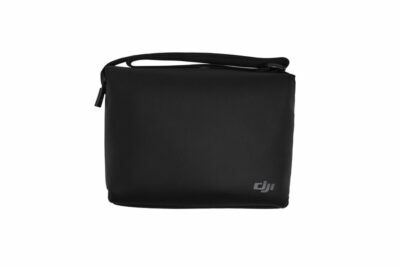 12 intelligent protection functions help deliver safe flight. Additionally, Spark’s battery estimates remaining flight time, letting you know when to land in real time.